The boys have just enjoyed a well earned break before the wedding season fires up again kicking off at The Boatshed this week. But don’t fret, you can still catch The Noodles at some great venues in October including The Green Man, Levin Club, Upper Hutt Cossie and of course The Establishment every Thursday. 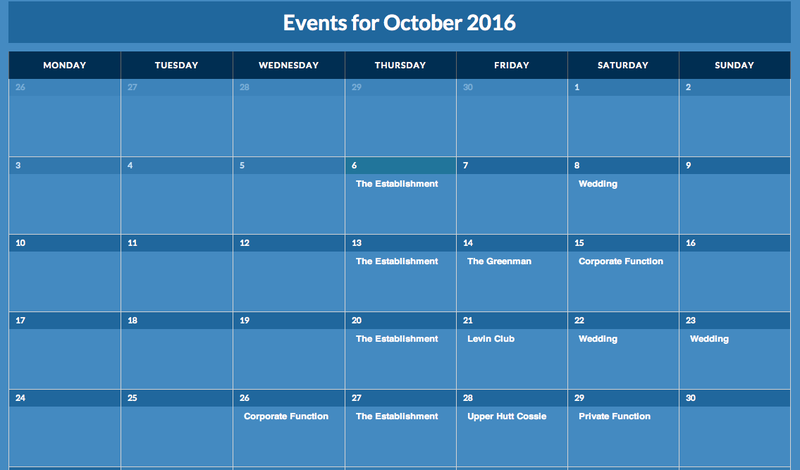 See our October events calendar for further details. And yes Toast Martinborough this year we will be performing at Luna Estate so see you all there!